Golf in 2018 has seen a series of notable victories for players who ended lengthy title droughts in memorable fashion on both the European Tour and PGA Tour. Here, we look back on some of the most noteworthy comeback wins, with Phil Mickelson's playoff win at the WGC-Mexico Championship, Tiger Woods' 80th PGA Tour title at East Lake and an emotional victory for Danny Willett in Dubai. Mickelson arrived at the Club de Golf Chapultepec still without a win since the 2013 Open at Muirfield but edged out compatriot Justin Thomas in a playoff. "I can't put into words how much this means to me," Mickelson, who had gone 101 tournaments worldwide without a success, said. "I knew it was going to be soon - I've been playing too well for it not to be. But you just never know until it happens." Mickelson began the week with a two-under 69 but that left him five shots behind early-leader Louis Oosthuizen and after a second-round 68 he was still not in the top five on the leaderboard. But a flawless six-under 65 on Saturday saw him surge into a share for second, two shots behind India's impressive Shubhankar Sharma. The tournament came to a thrilling conclusion with Thomas finishing his final round in dramatic fashion as he chipped in for an eagle to open a two-shot lead, with Mickelson and playing partner Tyrrell Hatton his nearest challengers. Mickelson responded as he birdied the par-five 15th before another gain at the next saw him tie with Thomas before the 47-year-old completed victory when his countryman failed to make par on the first hole of the sudden-death playoff. Casey won his first PGA Tour event since 2009 as a final-round 65 saw him triumph after Tiger Woods threatened victory in an entertaining conclusion to the Valspar Championship. "He (Tiger Woods) made it look easy for such a long time, and it's not," said Casey, who finished at 10-under par. "I've won a few times in Europe, [but] to take this long to get my second victory on the PGA Tour, it's emotional. I've worked so hard, I'm so happy for it." A strong field assembled at Innisbrook in Florida but players, including Woods, who described conditions as "brutal", found scoring tough in the first round which ended with Canadian Corey Connors top of the standings. The second round saw Casey mix four birdies with one bogey to sit two shots behind PGA Tour rookie Corey, who continued to upstage the big names, going into the weekend. But the Englishman lost ground on the field as a level-par round left him five shots behind 54-hole leader Connors, with Woods and Justin Rose just one back going into the final round. Casey closed with a six-under 65 to finish at 10 under in the clubhouse before an anxious wait, but he benefited from a late Patrick Reed error at the last as the American fell into a share of second place alongside Woods. Poulter demonstrated his characteristic drive in abundance to overcome an inspired challenge from American rookie Beau Hossler to win his maiden stroke play title on the PGA Tour at the Houston Open. "It's going to take a little while to sink in. I'm super excited," he said. "It's been a roller coaster the last couple of years, to be honest. To be down where I was has been tough." His landmark win was all the more significant for it coming just a week after he had been wrongly informed of his qualification for the Masters at the WGC Match Play, leaving him with final opportunity to secure a coveted spot at Augusta - nothing less than a victory was required. After the first round such a triumph appeared improbable as he shared 123rd place on the leaderboard, but the Englishman responded with a blemish-free second-round eight-under 64. This was followed by another stellar round of 65 to reach 14 under, where he was joined by Hossler late in the day, with the duo two shots clear of their nearest challengers. Poulter opened up a four-shot lead on the front nine in the final round but Hossler then sunk four successive birdies from the 12th and only a 20-foot birdie putt at the last saw the 42-year-old extend the tournament. A par on the first extra hole secured him his first title since the 2012 WGC-HSBC Champions. 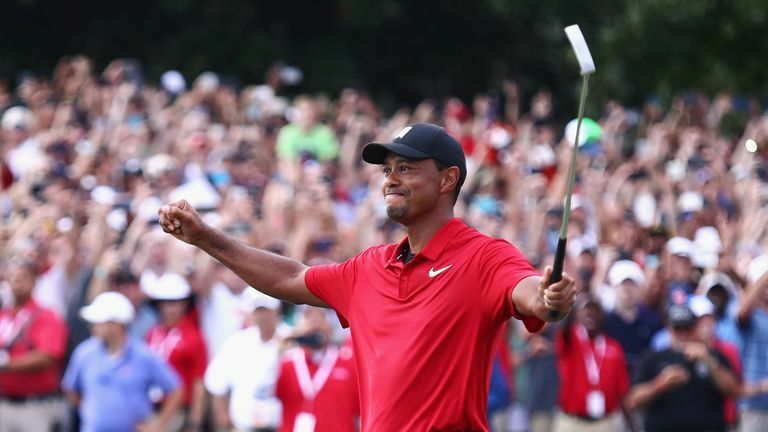 Woods completed a remarkable comeback from four back operations and personal setbacks with a victory that will live long in the sporting fraternity, as he won the season-ending Tour Championship. "At the beginning of this year this was a tall order," Woods said after winning his first title in five years. "I just can't believe I've pulled it off. It's been tough. I've had a not-so-easy last couple of years. It's just hard to believe I've won." Woods began his first appearance at East Lake since 2013 with a stellar five-under 65 to earn a share of the first-round lead, before maintaining his strong showing with a 68 to join Justin Rose in the halfway lead. The 14-time major winner, who had come close to adding to that haul at both the Open and PGA Championship, made a blistering start to his third round with six birdies in his first seven holes as another 65 saw him move three-shots clear. Ahead of Tiger Woods making his final appearance of the year, test your knowledge of his year in our quickfire quiz! Woods finished the week with a one-over 71 and despite carding three bogeys down the back nine in the energy-sapping conditions he eventually finished two-shots clear of Billy Horschel. Such was the magnitude of the occasion, Woods' walk to the 18th green was met by thousands of euphoric supporters with a tap-in par confirming his victory as he held his arms aloft in triumph. Westwood celebrated an emotional Nedbank Golf Challenge win after ending a four-year wait for a European Tour title. "I'm a bit emotional to be honest, you're never sure whether you're going to be able to do it again," Westwood said on his win in Sun City. "Until now my emotions felt really under control all day, which is what I've been working hard on." Sergio Garcia had led after each of the opening three rounds while Westwood had climbed the leaderboard during the week to sit three back from his European counterpart going into the final round. 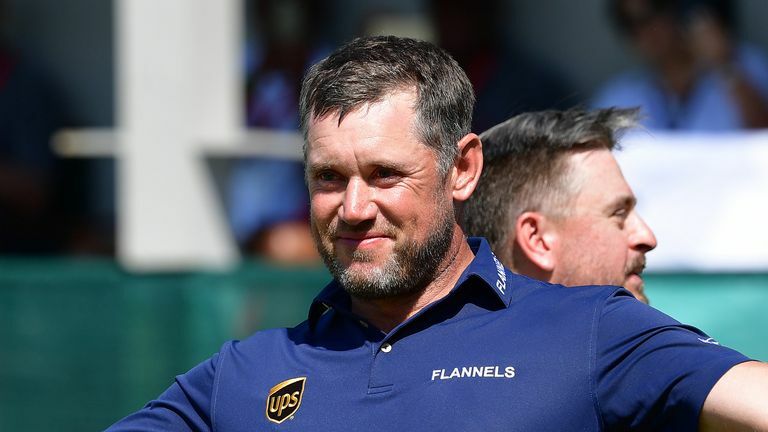 Westwood finished in style as five back-nine birdies saw him card a faultless eight-under 64 to storm to a three-shot victory over Garcia and one further clear of home hope Oosthuizen. It was Westwood's fourth victory at the venue following wins in the 2000 Dimension Data Pro-Am and in this tournament in 2010 and 2011 when it was a 12-man invitational event. With 14 wins from 11 different players on the European Tour in 2018, Rob Lee believes English golf has never been stronger. 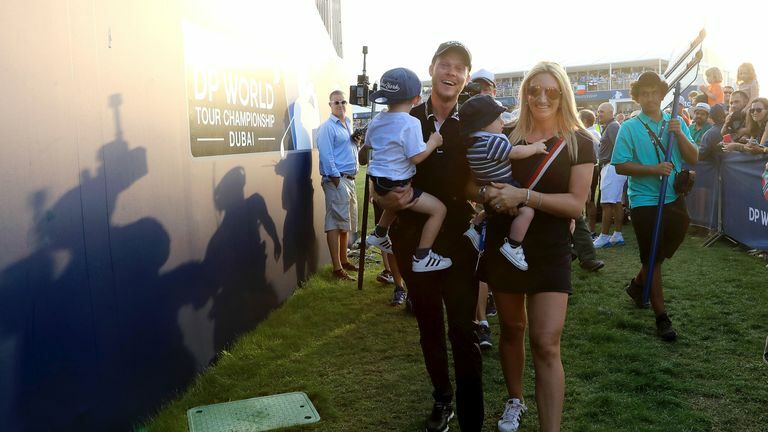 Willett ended a dispiriting spell in the golfing doldrums with a determined return to the winners' circle after a two-and-a-half-year wait, with a two-shot victory at the DP World Tour Championship. "Regardless of what would have happened today, I'm in a much better place than where I was," Willett said after his first title since his memorable Masters triumph in 2016. "I knew that things were going the right way and I was doing all the work possible to give myself chances to do this." 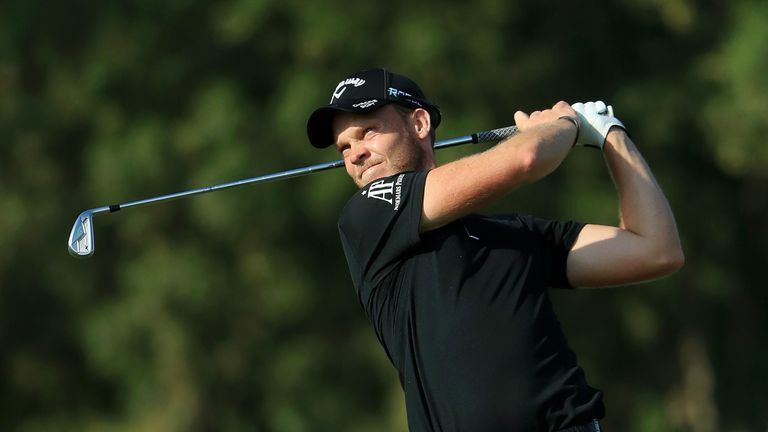 Willett, who had slowly worked his way back to form in 2018, began the European Tour's lucrative season finale with aplomb as a five-under 67 saw him sit one behind the early pace. A second consecutive 67 followed to leave the Englishman one behind at the halfway stage, before Willett compiled a third-round 68 to join fellow Masters champion Patrick Reed at the top of the leaderboard. The final round was full of ebb and flow as Willett responded to two bogeys in three holes early on the back nine with gains at 14, 15 and 17 before earning a stroke of luck with his drive at the 18th on his way to a closing par.